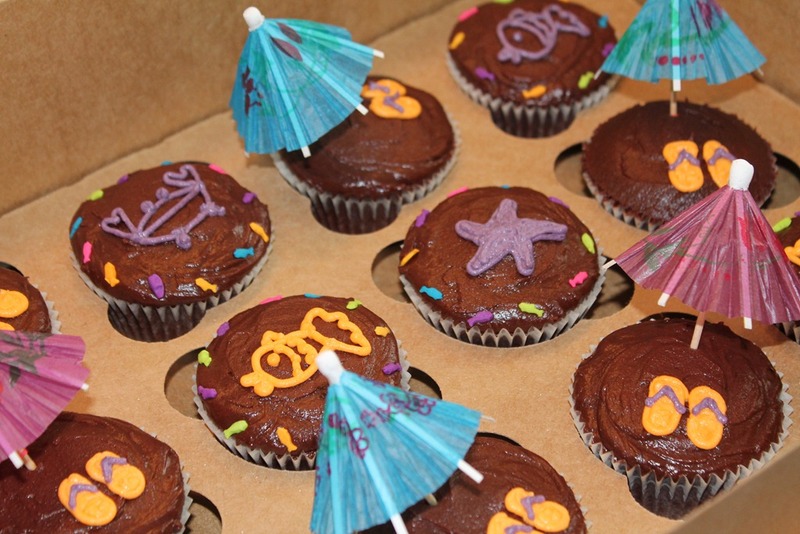 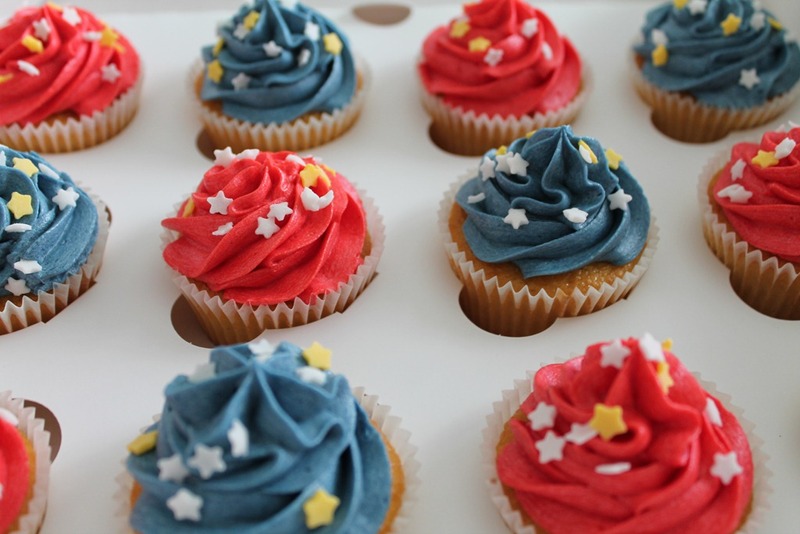 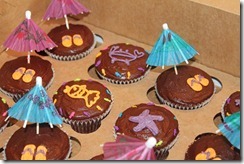 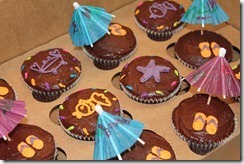 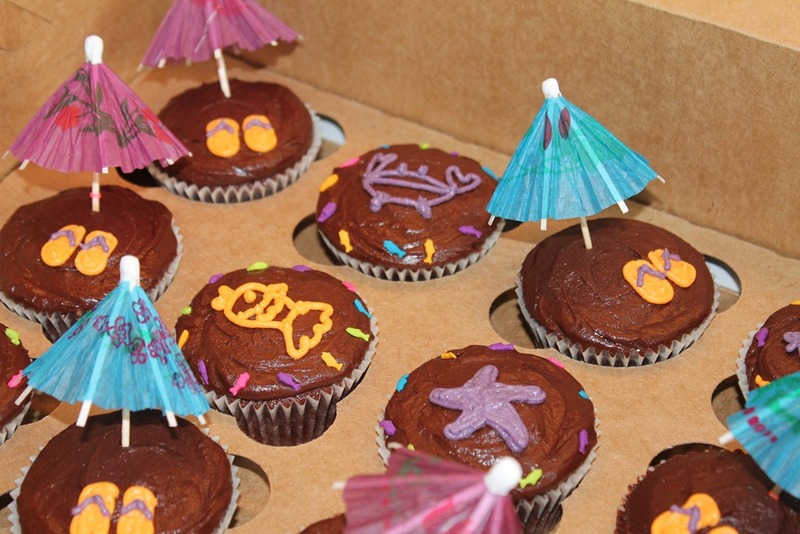 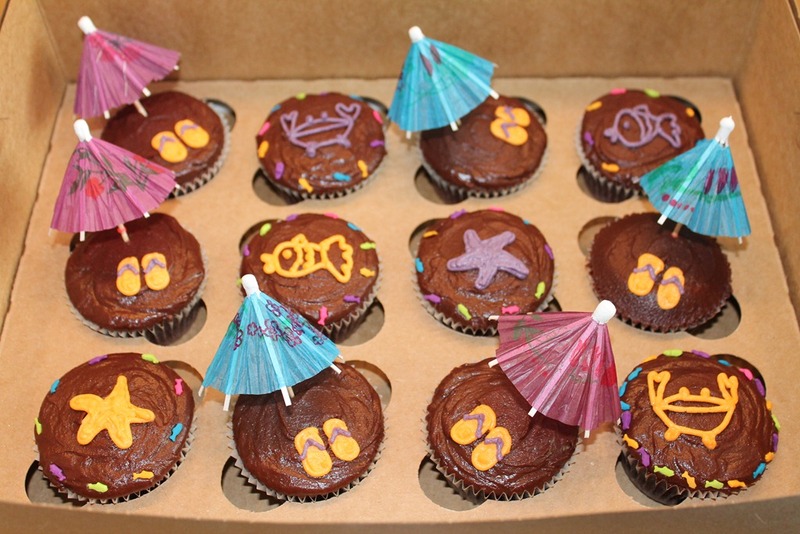 Summer is here and the holidays are on everyone’s mind ….. A beach holidays themed box of cupcakes to pep up the spirits no matter where you’ll be lounging in the sun , the Genève plage or the sandy beaches of the Maldives . 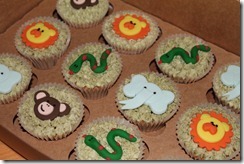 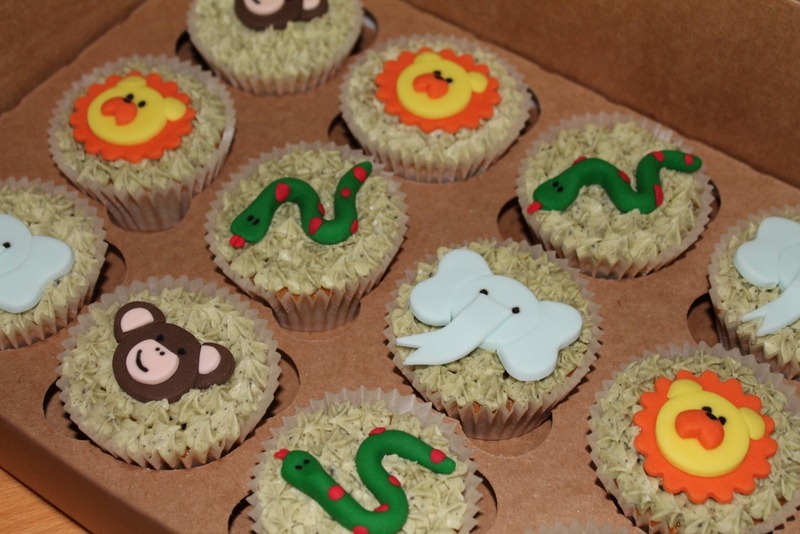 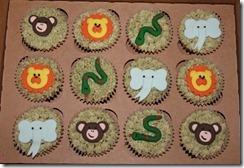 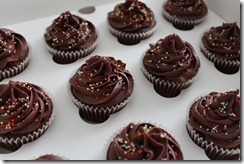 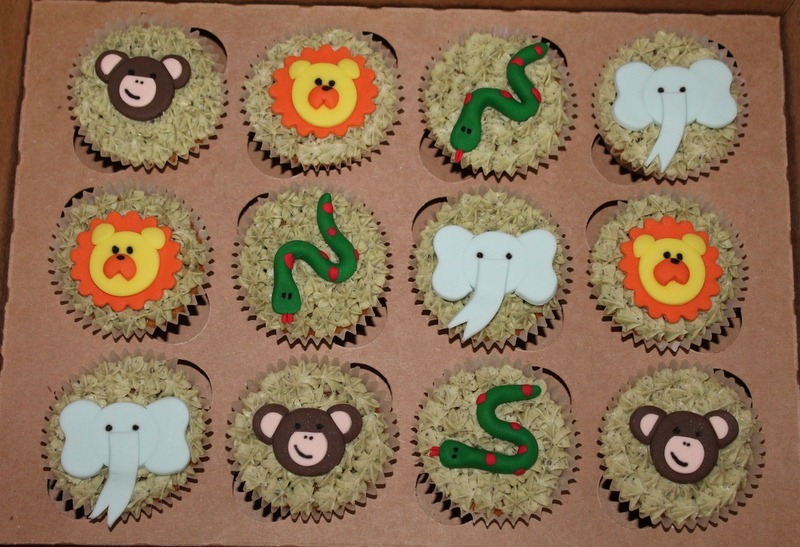 And a second batch of cupcakes for all his little friends at Kindergarten. 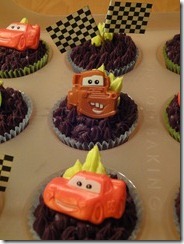 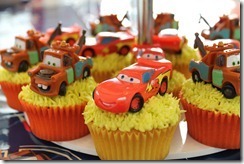 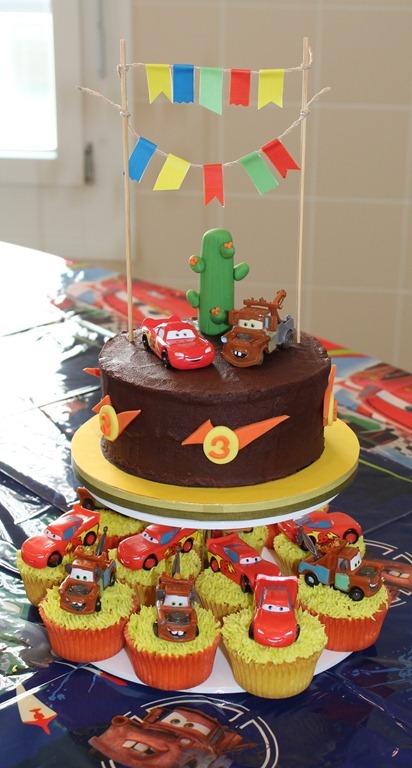 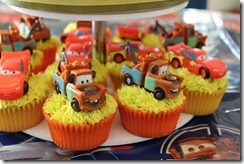 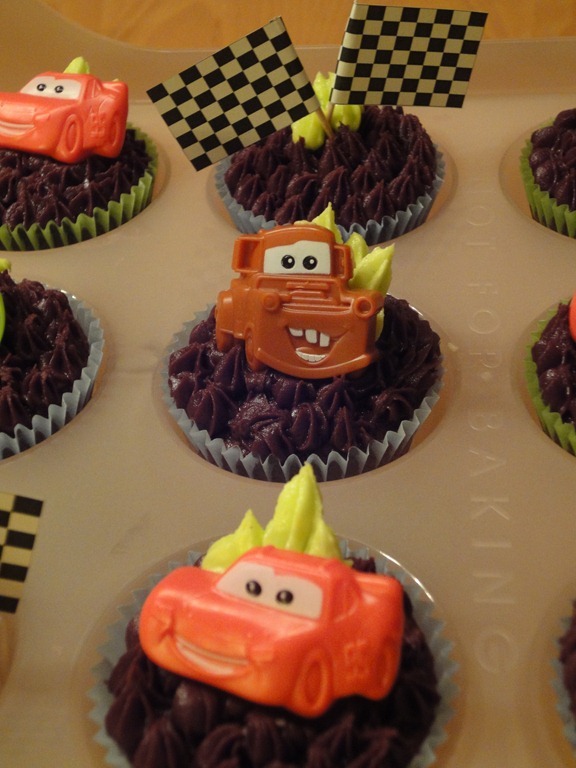 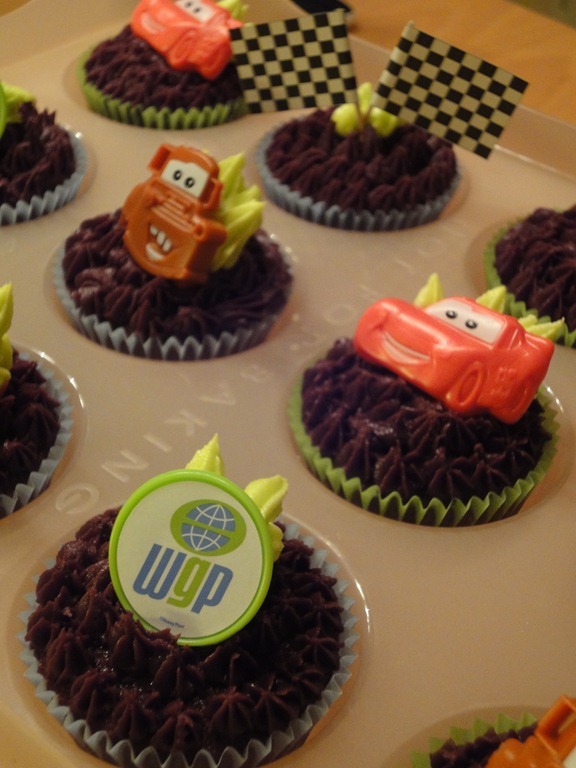 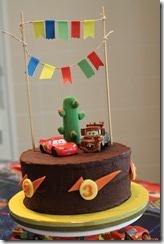 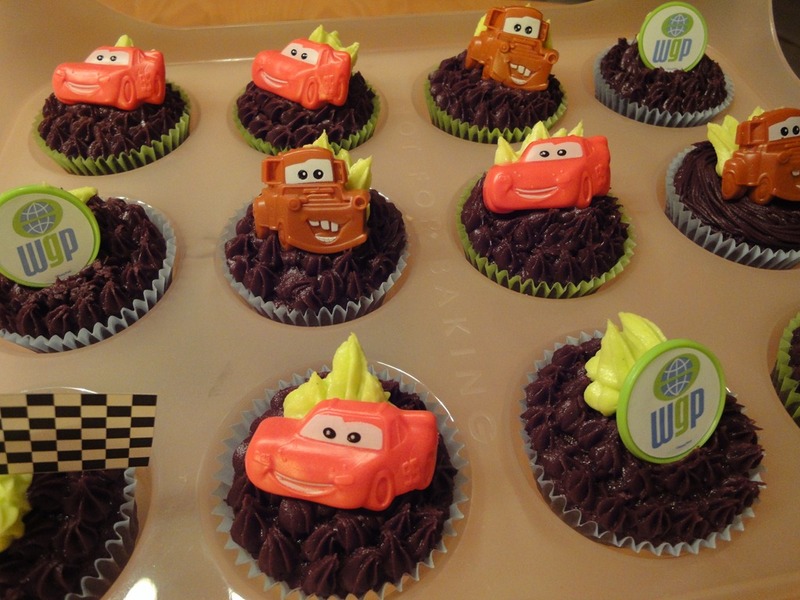 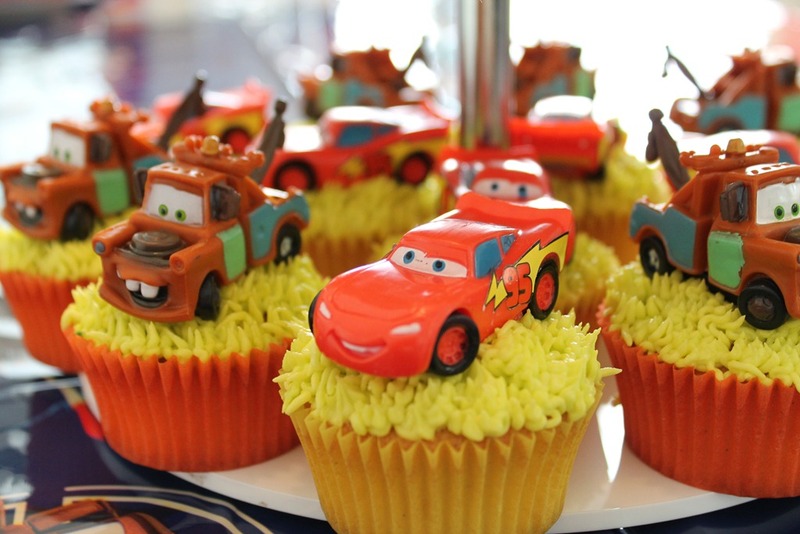 “Cars” theme again ….. what-else ??!! 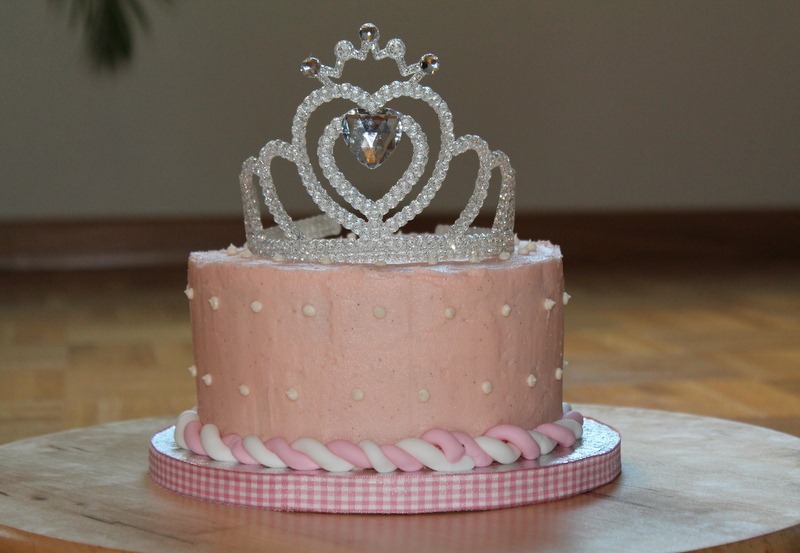 The 4 year old Birthday girl loved being a little princess and this was what we created for her to celebrate her special day. 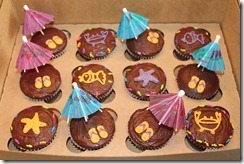 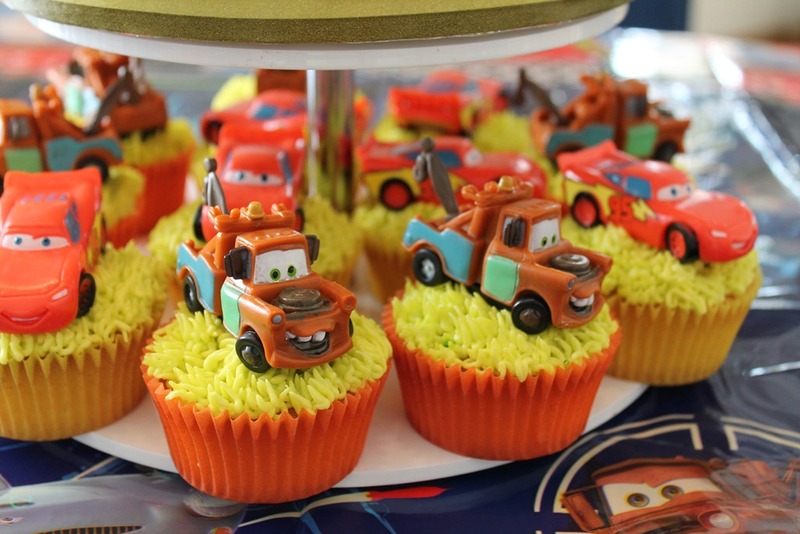 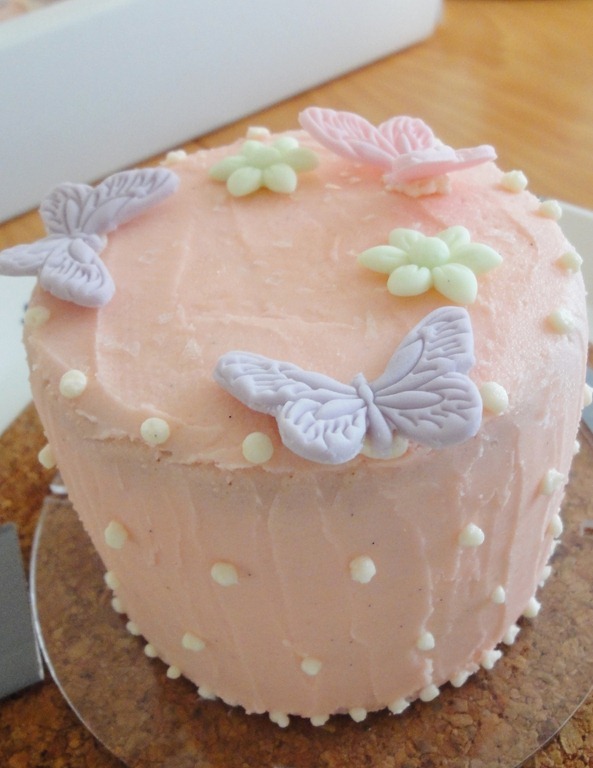 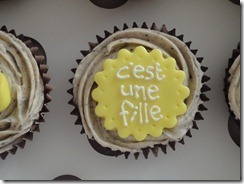 The cake and Cupcakes were used separately at two celebrations. 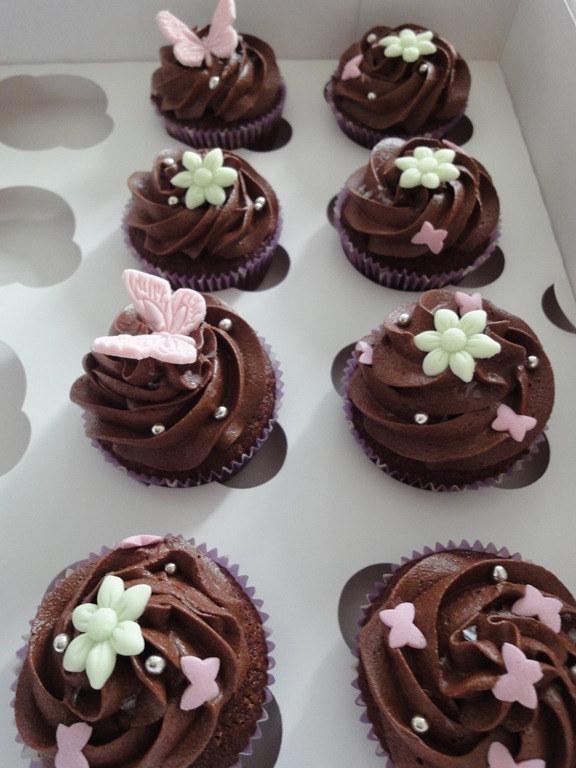 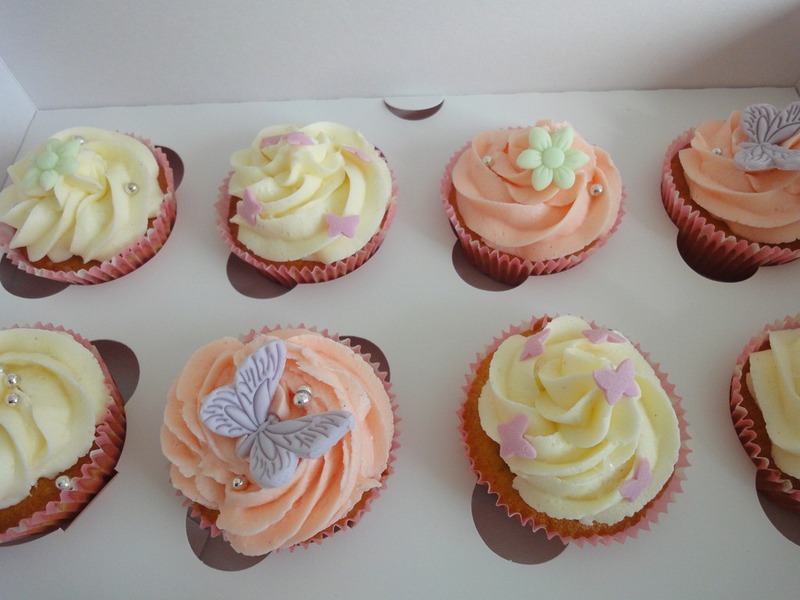 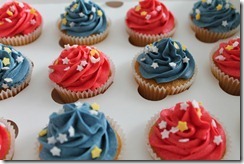 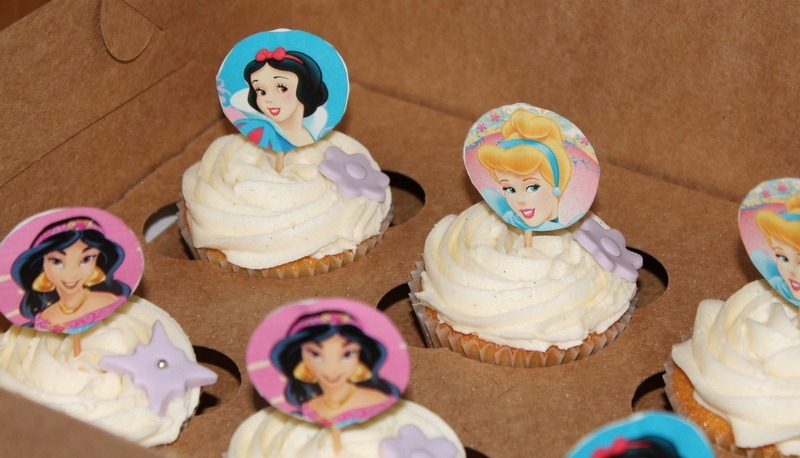 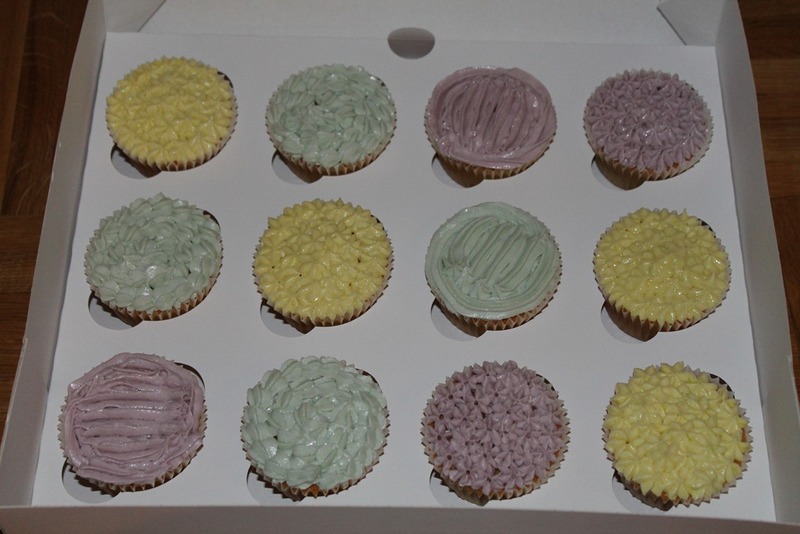 One batch of cupcakes were requested to be based on the Disney Princesses theme. 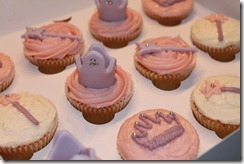 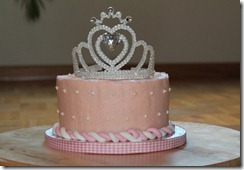 The other with everything a Princess needs ; tiara and wand of course !! 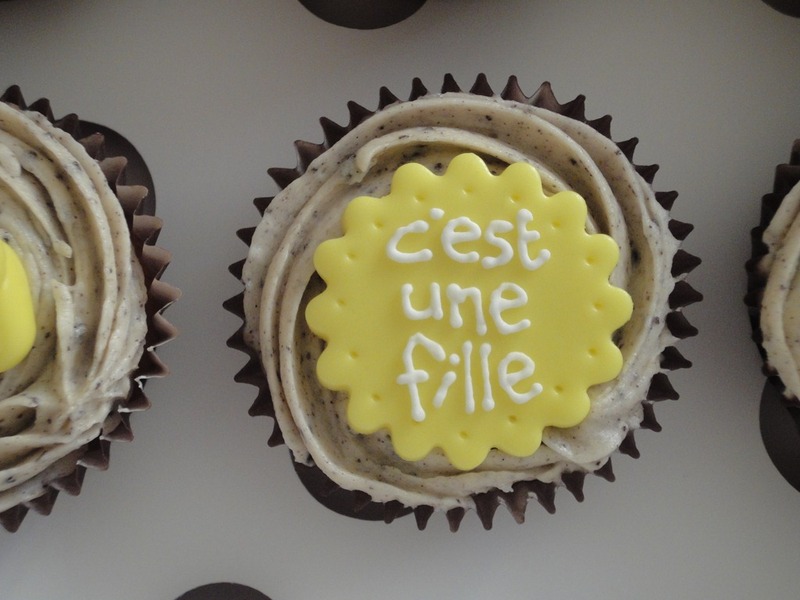 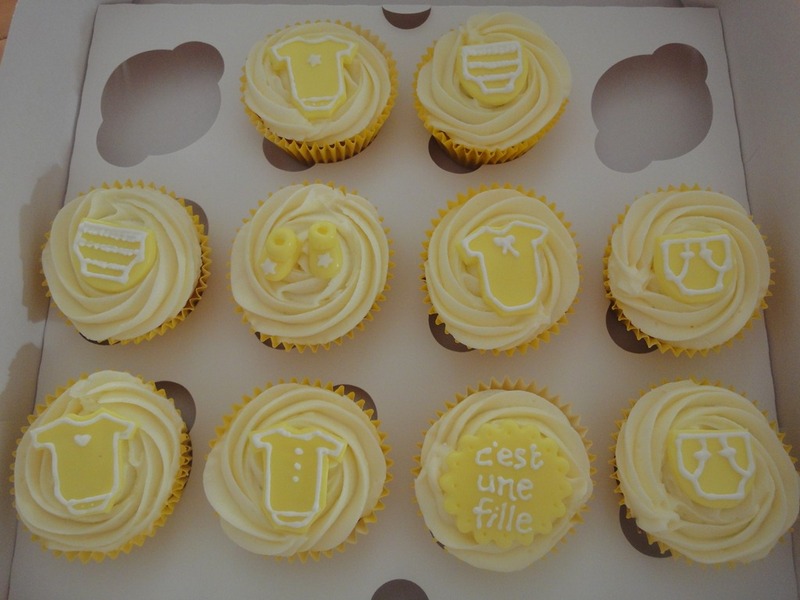 The “freeze” is dragging on in Genève, but things were looking bright and cheerful in the Cupcake Heaven kitchen in Paquis. 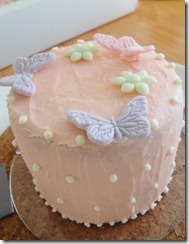 For a 7 year old who loved everything “girly” ……………………….. 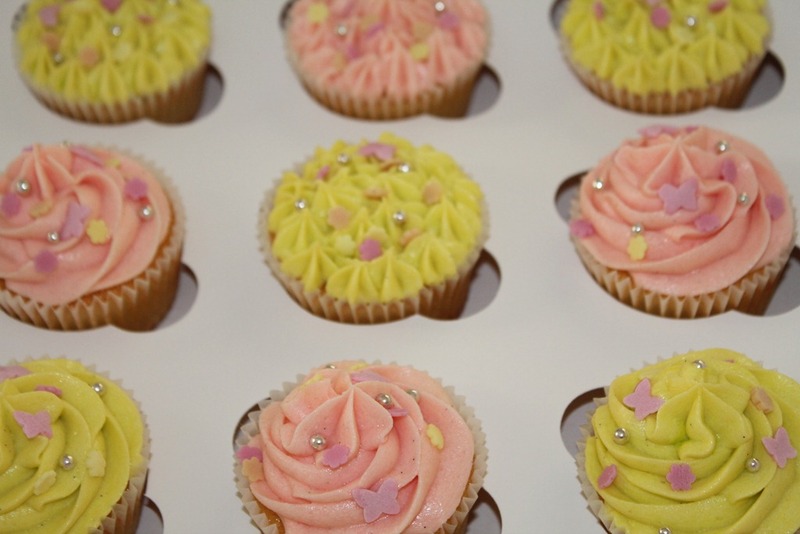 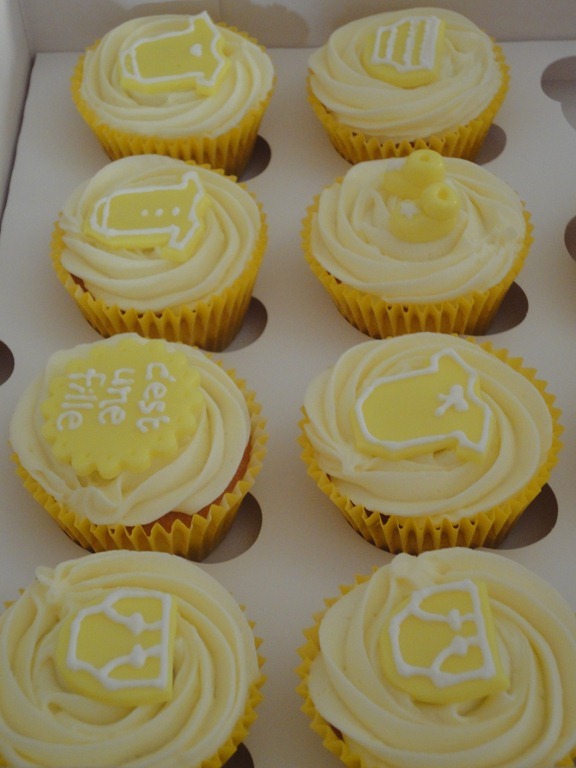 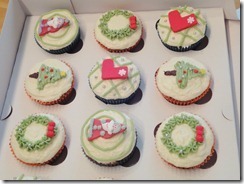 Pity that the edible glitter sprinkled on the cake and cupcakes don’t show on the photos soo well …..
Christmas Cupcake Boxes–a hit !! 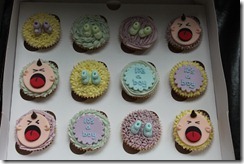 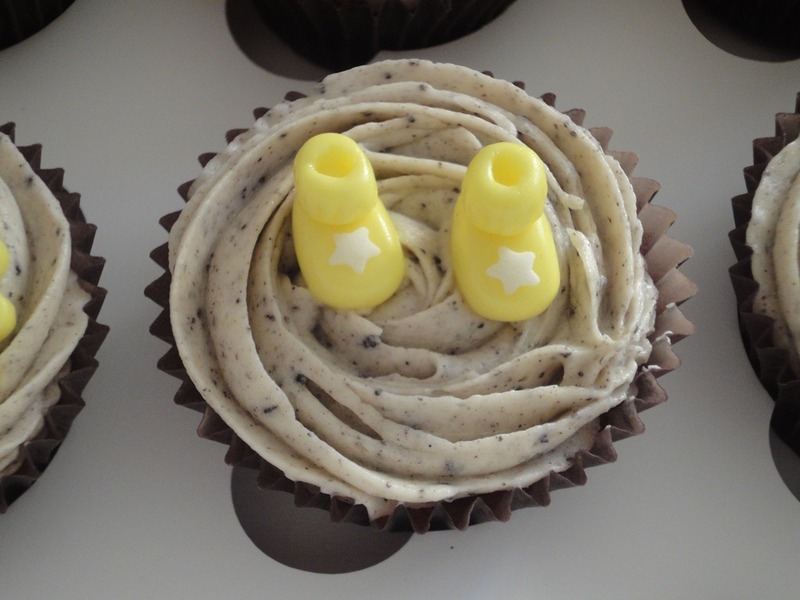 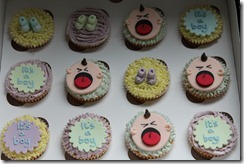 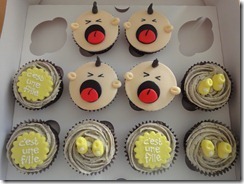 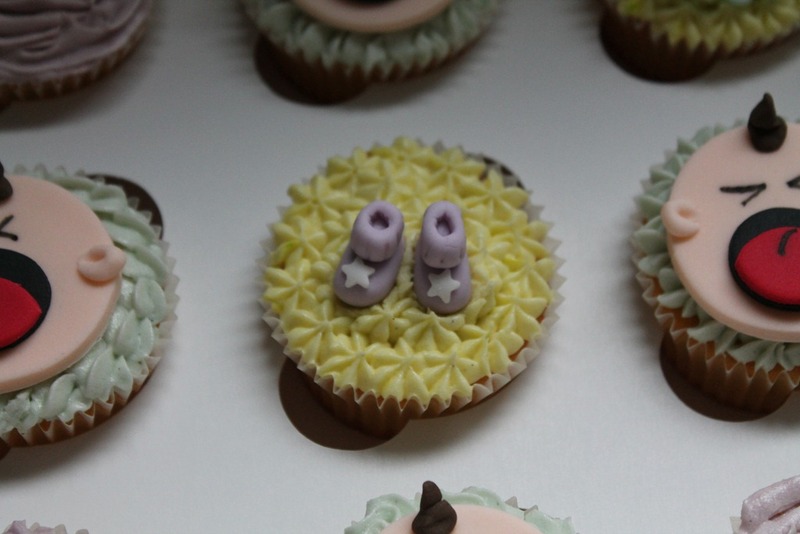 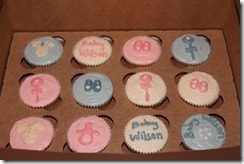 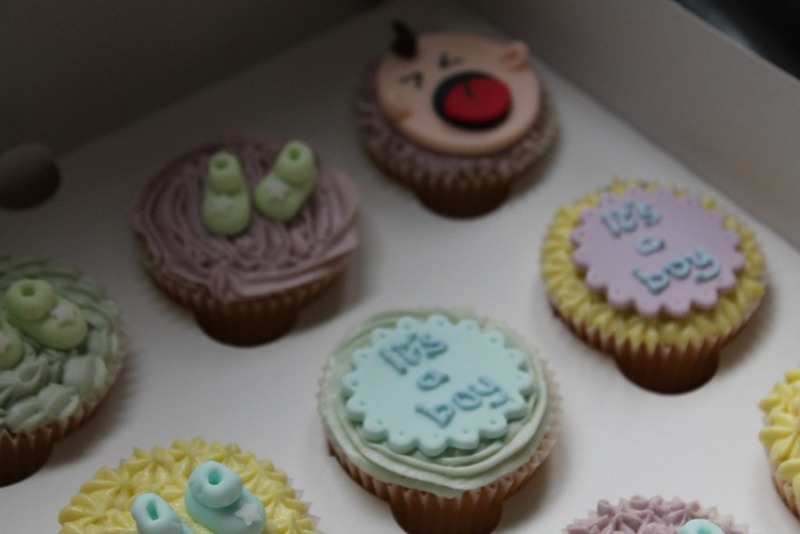 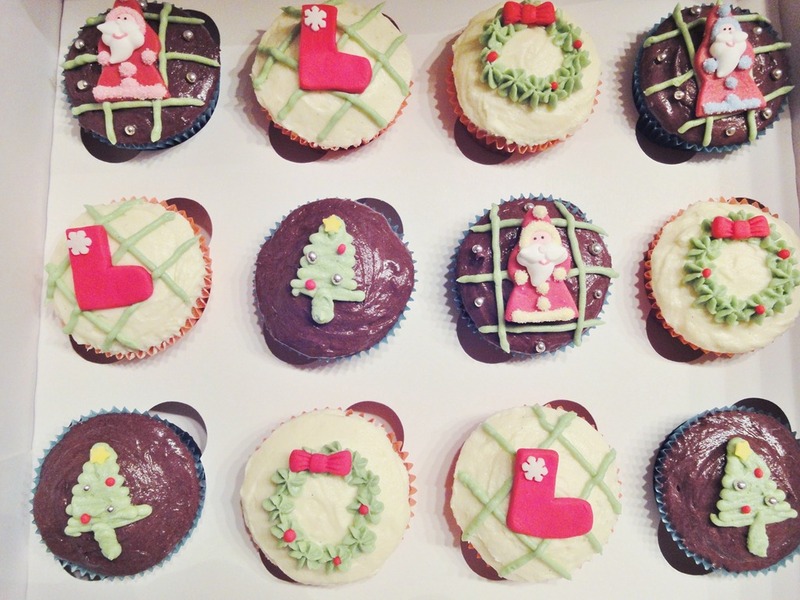 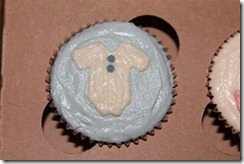 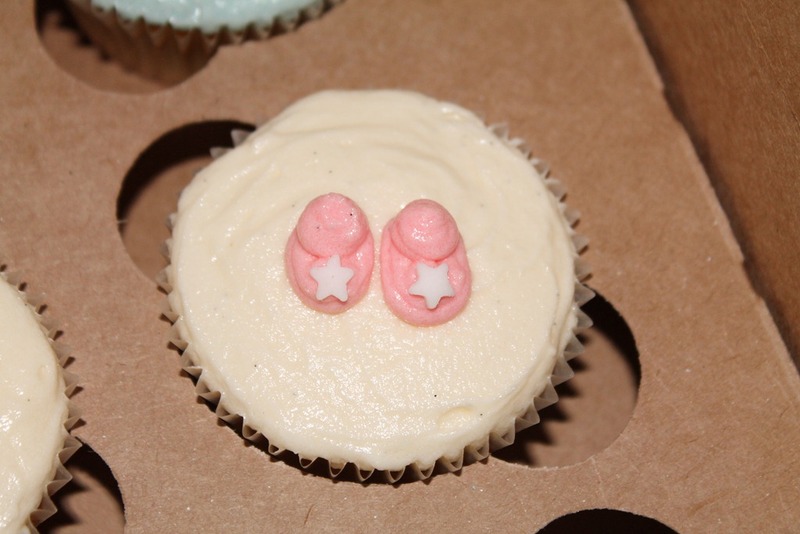 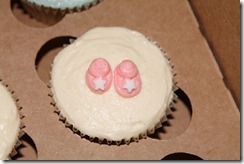 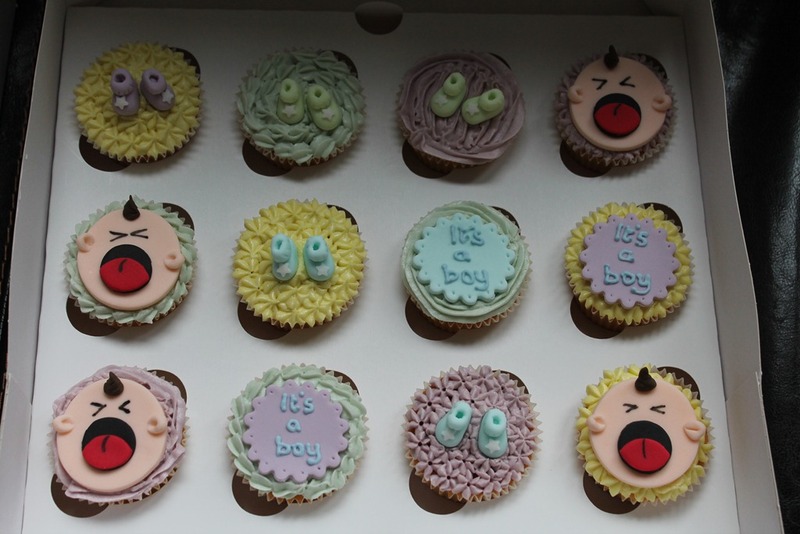 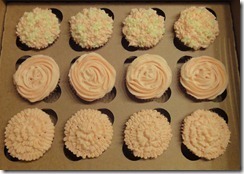 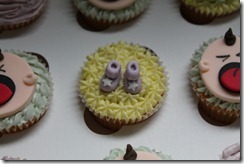 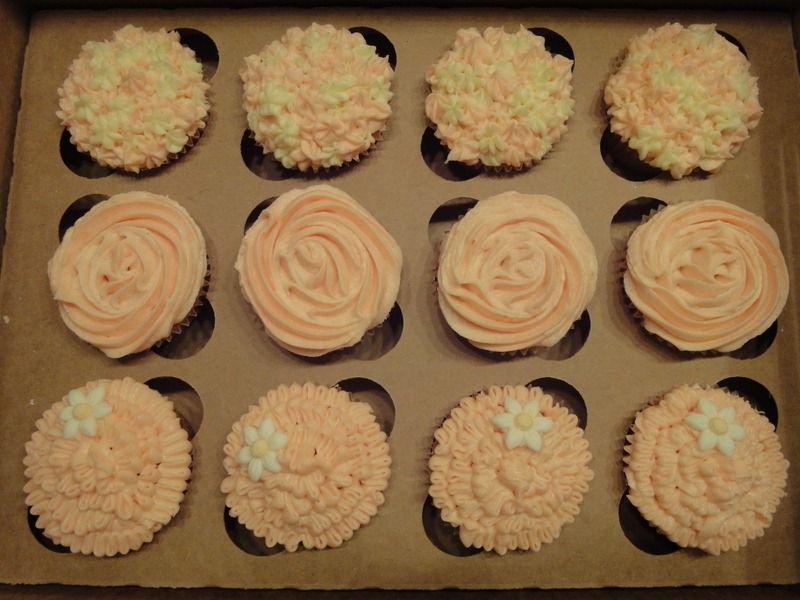 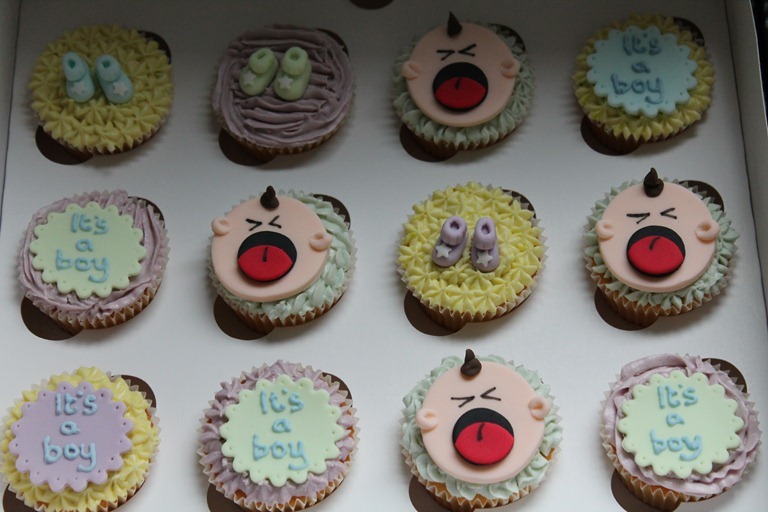 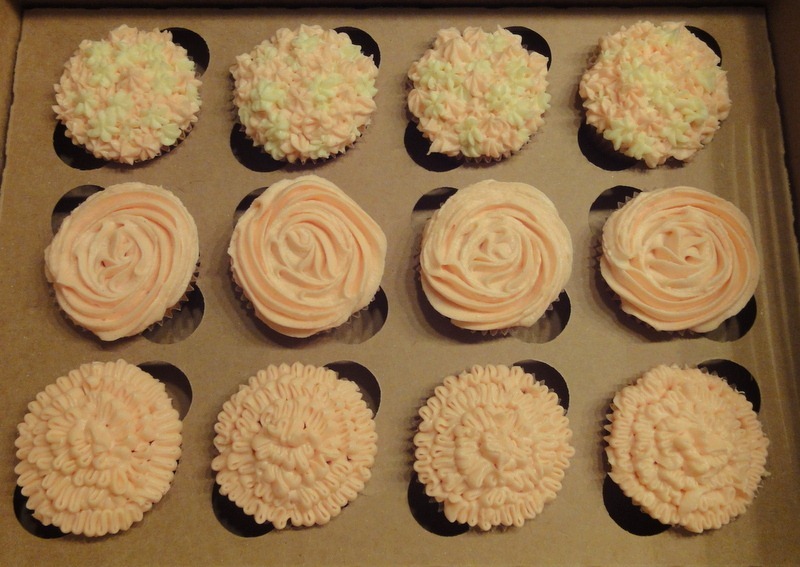 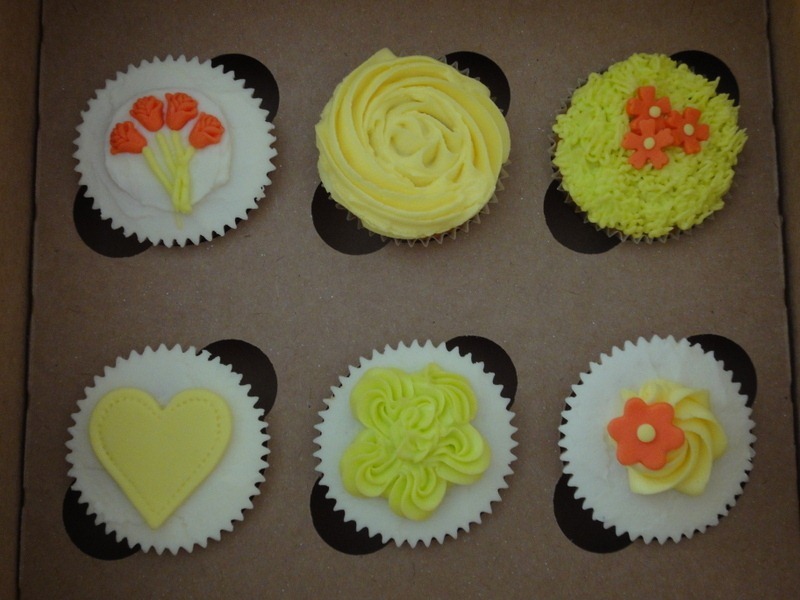 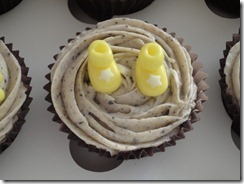 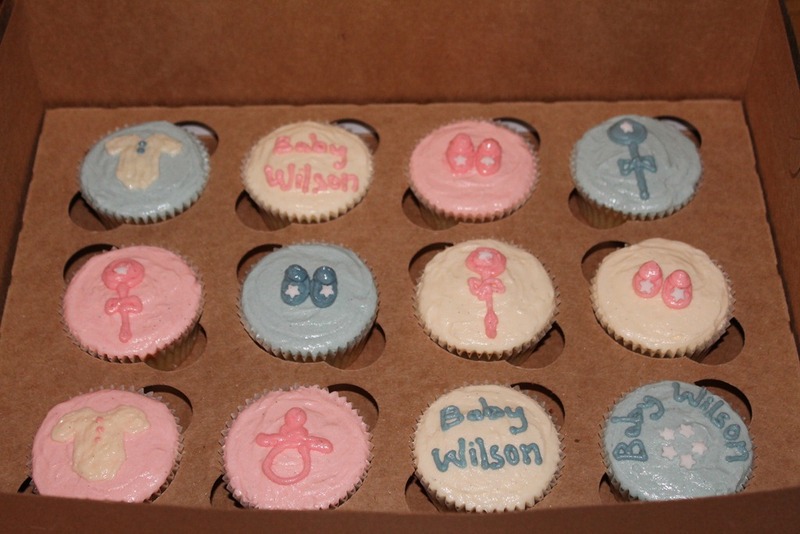 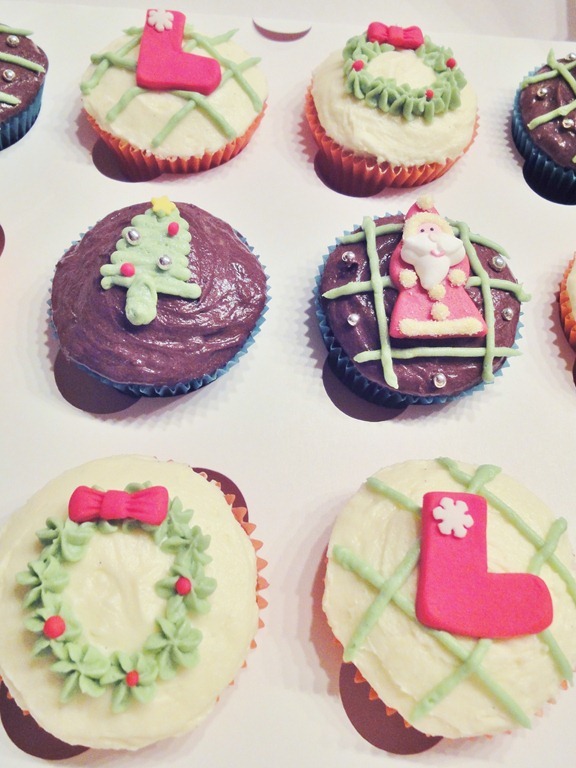 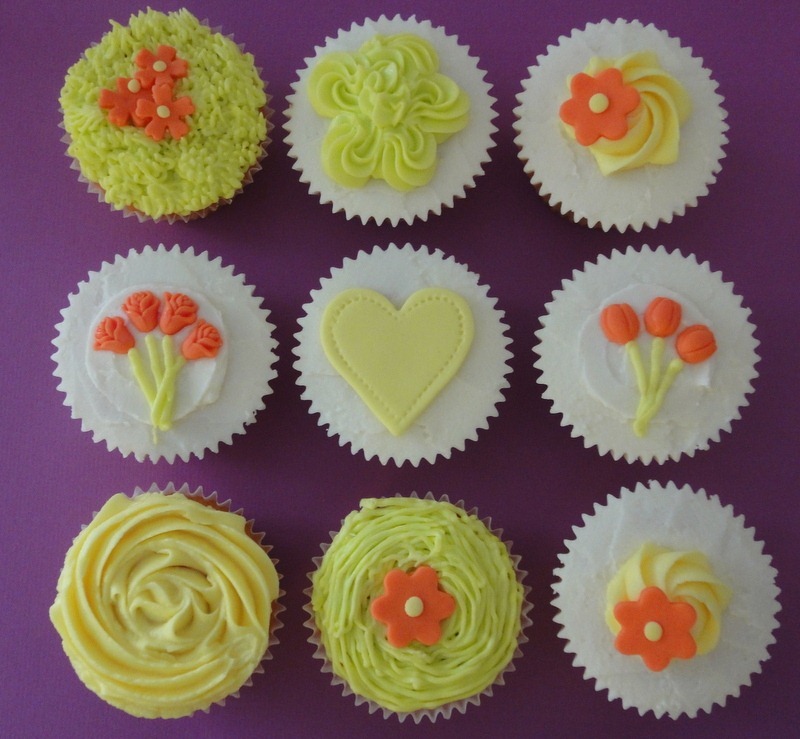 December has been a busy month at Cupcake Heaven. 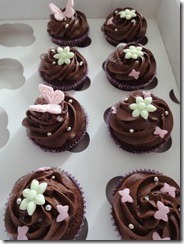 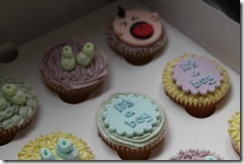 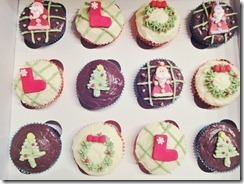 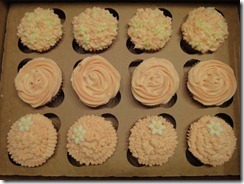 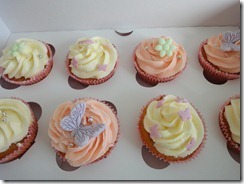 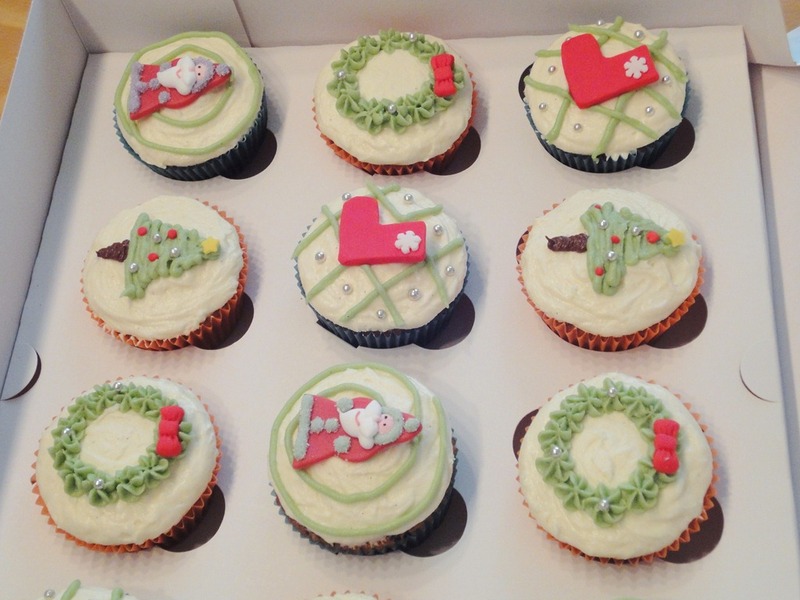 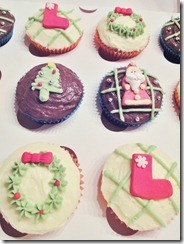 In line with the season celebrations quite a few clients loved the idea of a Christmas Cupcake Box. 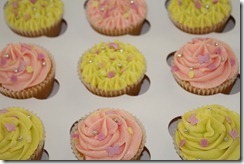 Taking inspiration from various different ideas I’d seen, the boxes were colorful, fun and of course delicious ! 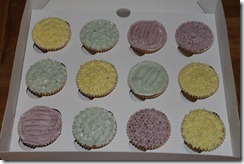 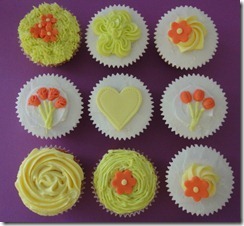 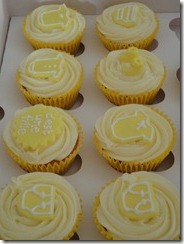 Popular flavors were the Chocolate Orange, Cookies&Cream and Lemon.